We have become accustomed to the form political power takes in the world: hierarchies within countries and regions, with some operating on a democratic basis. 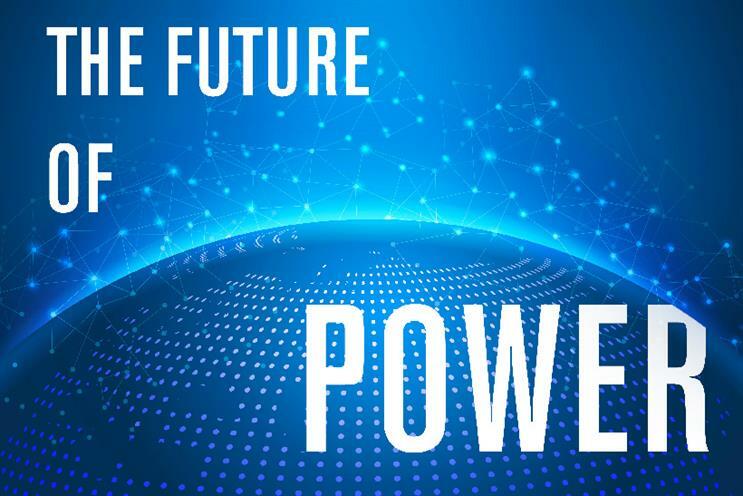 Now, however, technology and business are driving a transformation in the very nature of power, writes futurist Tracey Follows. Trust is bust, or so goes the soundbite. That may be true, but is it true everywhere, or for all? It seems that trust is booming in some new communities, markets and platforms: on Etsy and eBay, in particular, connected community members happily engage in transactions and trust each other and their host. It is really the old, institutionalised organisations where lack of trust is an issue: banks, governments, energy firms, the judiciary, commerce, some brands; in fact, anywhere that seems to be placing vested interests ahead of those of the people they should be serving. For years, the public has placed its trust in organisations that were somehow able to establish themselves as authorities. It looked to them to lead – the market, policy, legislation and the nation. But something has changed. Authority of all kinds is no longer accepted at face value; now it has to be earned and proven, sometimes daily. If authority is so fleeting, transient and dependent on the crowd, who has the power to make the rules we live by, ensure our rights are upheld and guarantee behaviour is fairly regulated? If not a familiar authority, whom shall we trust to exercise that power in the future? In 1990, Saddam Hussein invaded Kuwait, The Simpsons went on air for the first time, Nelson Mandela was released from prison and Margaret Thatcher resigned as Prime Minister, making way for John Major to lead the Conservative Party and the country. Power came and went: some were losing their authority while others were grabbing it anew. But it seemed clear who had the power at any time. That was before the internet, of course. Since the proliferation of the world wide web, the question of who really has the power, and what they can do with it, has become only more difficult to answer. Does power still lie with the police? Increasingly, the response to a perceived wrong is to stage a protest. The Metropolitan Police has said that it can no longer manage protests and temporary road closures for demonstrations, meaning protest groups will have to negotiate with the Met or hire traffic-management companies to oversee them. Or is this just an indication that protesters have increased their power, and the police wants to redress that balance? Does the nation still have power? If you believe the anti-Europe-leaning organisation Business for Britain, then 64% of UK laws are actually made or influenced by the EU (based on data between 1993 and 2014); but if you believe Nick Clegg and the pro-EU Liberal Democrats, then only 7% of UK laws get made that way. We don’t really who know holds more legislative power. Does Google have too much power? The EU thinks so. PayPal co-founder Peter Thiel makes clear in his book, Zero to One, that he doesn’t. He argues that monopolies are the best companies; uniquely one-of-a-kind, like Google, and therefore uniquely powerful. He believes such companies underplay their power in an attempt not to be seen as monopolistic because they are worried about regulation. Control. Authority. Sovereignty. All are under question in a digitally disrupted, disintermediated, decentralised world. Thomas Frey, founder of futurist think tank the DaVinci Institute, has a radical suggestion as to who will rule and regulate the future. He foresees new, global authorities that will establish guidelines, legal definitions and limits. These cut across borders, outside the control of any nation. He calls them "fractals" and explains: "Some will be mandated by large international assemblies, such as a G20 Summit, while others will originate organically, recruiting member nations on their own. They will be funded via nation-based membership dues." Once a fractal reaches in the region of 20 member states, there will be "a tendency for it to serve as the default authority in all matters related to its scope of governance". As a start, Frey proposes that fractals be established for business ethics, ocean pollution, cross-border taxation, identity standards, and patent and intellectual. In this case, power is still concentrated in a hierarchical system, but shared across geographical boundaries. Likewise, in commerce, where global brands have as many consumers as a country might have citizens, an alternative system could be emerging via an asset sharing approach. In his book Design to Grow, David Butler, vice president of innovation at Coca-Cola, describes how it has opened up its assets to start ups in the hope that they can solve the biggest conundrums the business faces, such as the billion dollar problem of Coke being out of stock on a store shelf. One solution to have emerged is a digital platform that allows a store manager to post a stock request to an Uber-like system, which is then immediately fulfilled. This system is not hierarchical, but reciprocal – a model where information is exchanged and power shared. The future of power is not about owning, but sharing; and success lies in the ability to give power to others, not take it all for oneself. This is one area in which global, national and local institutions can learn from the world’s borderless brands.